Either Mangroves are an area of mangroves north-west of the small village of Either. They are not very thick only a few trees wide but extend for several kilometres along the sheltered embayment. 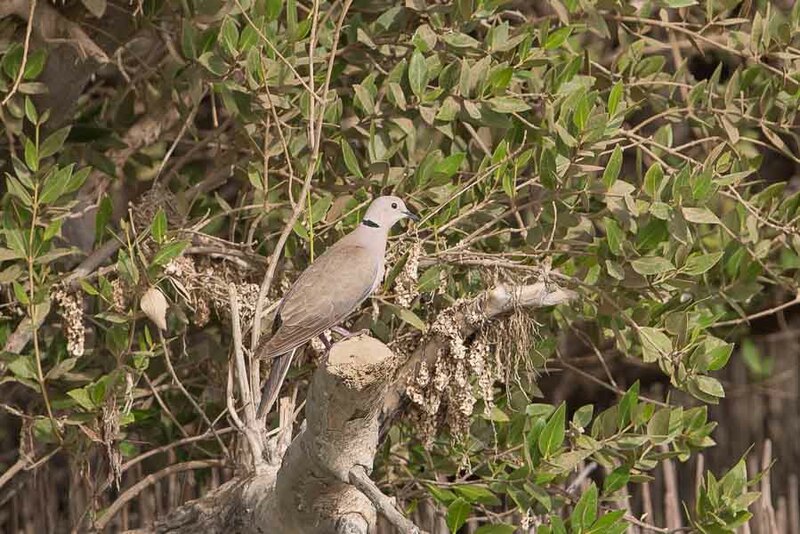 The surrounding land is sabkha protected by a bund and the mangroves are behind this bund, so it is worth stopping and looking as you drive along the track. The very start of the mangroves was the best site for waders and herons but further down was where the warblers and white-eyes were found. 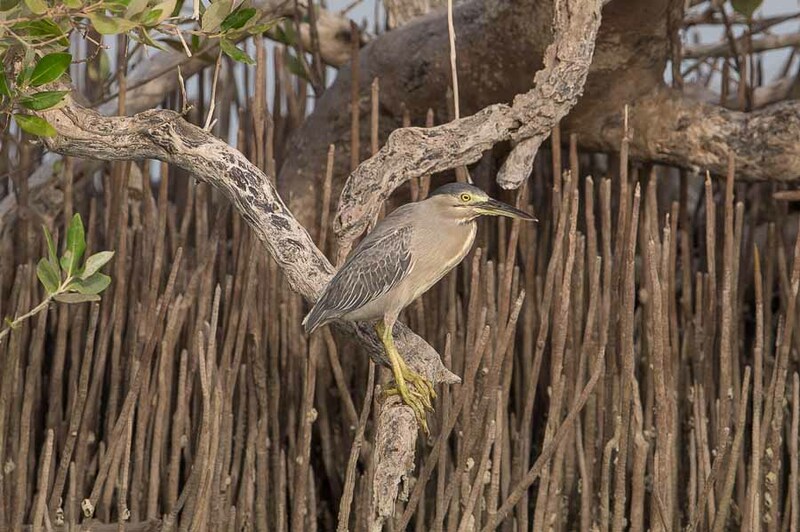 It is possible to walk to the mangroves and water edge in several places, down raised embankments, and this is well worth doing as you get close to the trees and can see some of the smaller birds such as African Reed Warbler and Abyssinian White-eye. 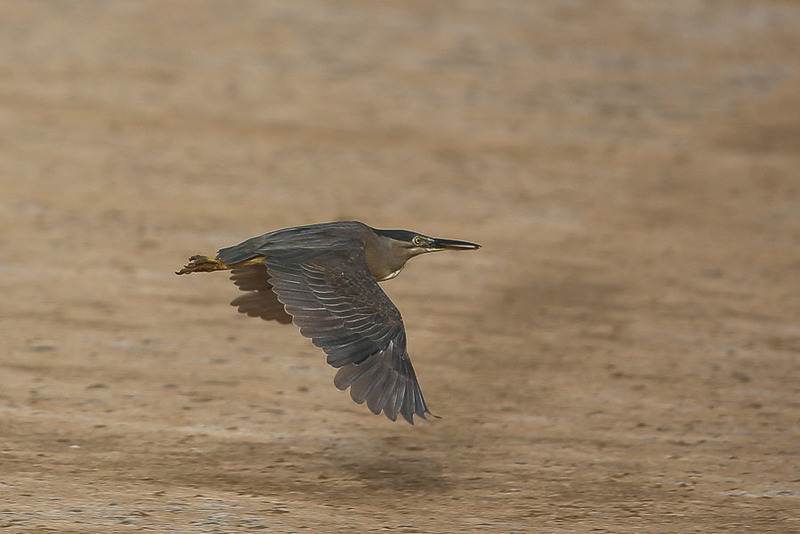 There were five Striated Herons along the water edge and the mangroves themselves had two African Collared Doves perched on the mangroves and in flight over them and several passerines were seen flitting around in the mangroves themselves including three African Reed Warblers or Mangrove Warbler as well as two Clamorous Reed Warblers of a different sub-species to the ones we see in the Eastern Province. 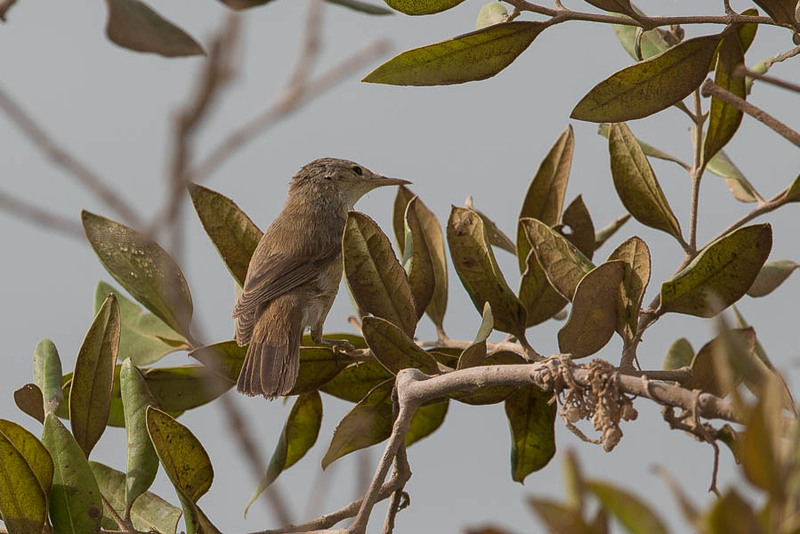 The Abyssinian White-eye is a very interesting bird and it looked very out of place in the mangroves and may eventually turn out to be a different species as its habitat choice; call and biometrics are very different from the normal ones seen at higher elevations. This would be a great species to study in more detail if anyone gets the time and permission to ring at the site as few people have recorded seeing this mangrove dwelling White-eye recently and its status and numbers are poorly known. On the way out of the site, just as you come to the end of the bund we turned right and followed the bund to the sea and saw five Eurasian Spoonbills, 20+ Pink-backed Pelicans, three Crab Plovers, two Common Redshank, one Common Greenshank, three Kentish Plovers, two Indian Reef Herons, two Sooty Gull, 20+ Slender-billed Gulls, six Gull-billed Terns, two Little Terns and a fly over Yellow-billed Kite which was the only one we saw all trip. 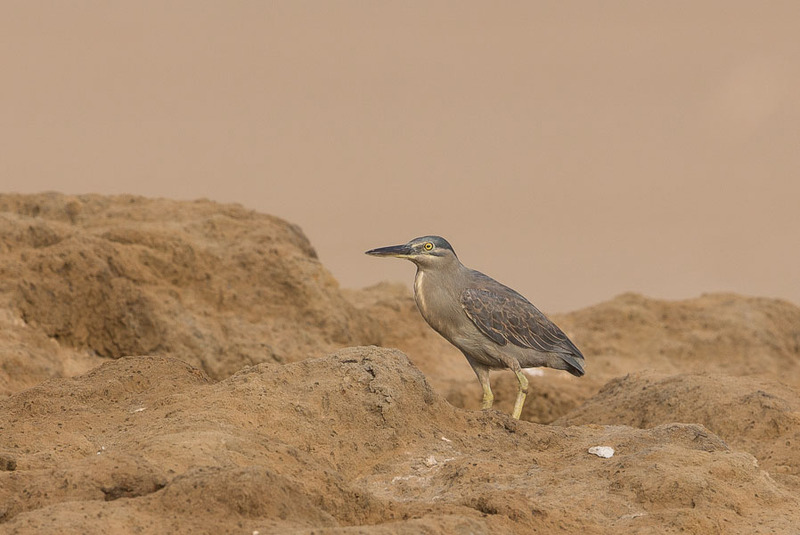 We failed to locate the recently sighted Goliath Heron here, however. 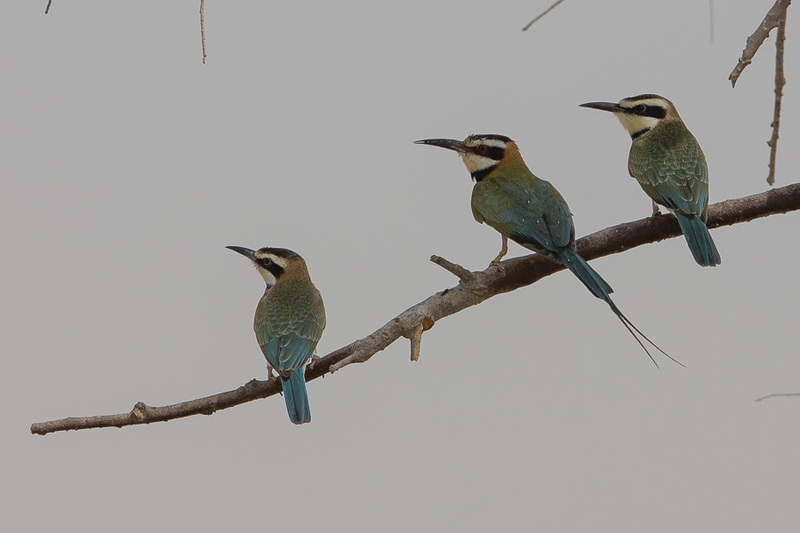 Other interesting birds included six African Palm Swifts, six White-throated Bee-eaters and four Greater Hoopoe-larks. 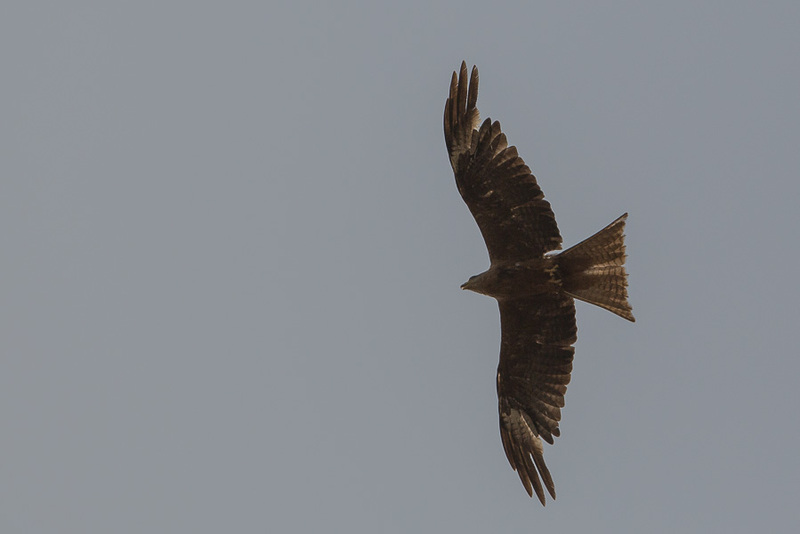 A new surprise, you can see the white eye in the coastal area! Usually you can see it from medium to high land.but at any point of this place is located about Jizan? The White-eyes have been seen in this area many years ago but there are no recent records as far as I am aware. They are well worth looking for when you are next in the area as photographs of them would be very valuable (we failed to photograph them) as they may be a separate species. Maybe you can try out your new lens on them?